If we are asked to identify some of the worst pests in homes, there are reasons to believe that we would most certainly include bed bugs as one. They are without any doubt one of the most stubborn and nasty pests. They are known to survive in the toughest of conditions and once they make a place for themselves in homes and offices, it might be a tough task getting rid of them. Before we are able to find ways and means to attack this problem, we need to answer some basic question. First and foremost to understand the answer to the question as to why there is bedbugs. Only when are able to find out the reasons for their presence, we will be able to attack the root of the problem. The adult bed-bugs grow approximately around 4 to 5 mm long and they generally are the size of an apple seed. They do not have wings and therefore they cannot afford to fly. They are reddish brown in color. The abdomens are darker in color because of blood which is digested. Males usually have a tapered abdomen when compared to females. Reaction to bites depends from person to person. Some report mild itching and burning while other could report severe burning and rashes. 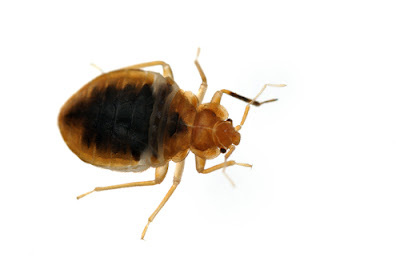 Bed bugs do not come out of the blue. In most cases they do not cling to people. However, it is possible that they could get accidentally caught in our purse, laptop bags, suitcases and even the clothing which might be wearing. Once they are in any our belongings they can move to the new home, offices, hotels, schools, hospitals or other such place. It would be wrong to assume that they prefer dirty places. Sanitation has never been a favorite add-on for bed bugs because they are known as deadly hitch-hikers and can make any place their home within the shortest period of time. Hence this is a very important point that must be kept in mind when it comes to answering the question why there is bedbugs. In spite of the best efforts to keep these nasty pests at bay, it is quite possible that they could find some way to slip through and make your home or office as their place of rest and reproduction. It also is important for us to find out the places where they prefer to live. This would help you to target these hiding places and find out ways by which they can be exterminated. They would like undisturbed and dark places as their homes. Crevices in furniture and bed baseboards are considered to be comfortable hiding places for them. Warmth and carbon dioxide from human beings attract them. They are active during the night and many of them cannot see properly in bright light. They are found in large numbers where there is a big turnover of people. Hotels and motels are few such examples. They have the capability to move from one room to another and also from one building to another if they are located adjacently. They take birth from eggs and grow into a nymph before graduating into a full adult. Female bed bugs can lay around 200 to 500 eggs at a time and they prefer rough surfaces. The eggs hatch within six to seventeen days. They are stubborn pests and adults can stay without feeding for almost one year. They are known to spread if their resting place is disturbed. This could include moving furniture, disassembling them and also because of wrong application of pesticides. Absence of food or no host could make them to move to neighboring rooms, homes and even buildings. Lack staying place or shortage could also lead to migration. Infested furniture and clothing is also one more reason for migration. 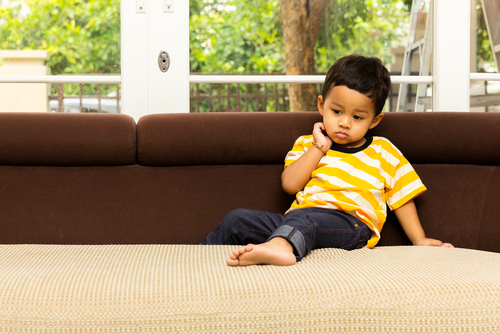 Vacuum cleaners used in multiple rooms could also be one more reason. Now that we know as to how and where bed bugs come from, we should not have too much of a problem in getting rid of them. First and foremost, you must try and prevent these pests from getting into the home or office in the first place. If you are coming out from a tour and have suitcases, briefcases, laptop covers and even dresses, it would be advisable to sterilize them and disinfect them. This many not be always possible in areas like hotels and motels where there is a big turnover of people. In these places, intelligent and thorough use of pesticides and insecticides is perhaps the only way out. You must also try and keep furniture that is relatively free from crevices and other hiding places. You would do better to check your room doors and repair any crevices and cracks so that their hiding places can be identified and sealed. Before getting down to actual treatment of bed bug removal, quite a bit of preparation is necessary. 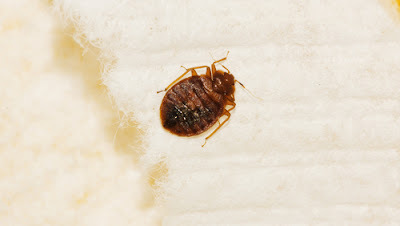 You will have to segregate items in the rooms that are infested with bed bug and which are free from infestation. Cover them up properly and only then should you move to the next room. There are a few bed bug treatment products that cannot be used all the places. These pests also have the capability of building resistance to certain pyrethroids. Hence you may have to adopt and go in for multiple approaches and strategies including use of well chosen and well thought out bed bug kits. They are specifically suited for treating the hiding places of bed bugs including cracks, crevices, and folds and so on.